All too often, businesses adopt the belief that “if you build it, they will come.” The truth is, all products and services, no matter how good, will go unused if no one knows about them. Don’t be the best-kept secret. 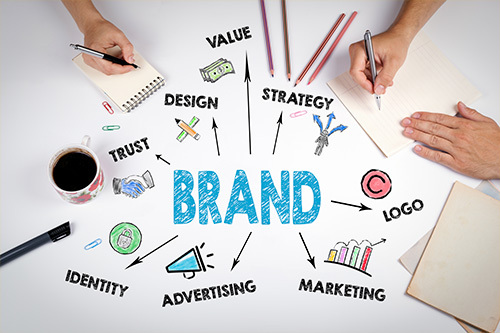 An advertising plan, no matter the scale, will increase awareness of your brand, and ultimately, your bottom line. The key to the success of your advertising campaign is inherently tied to your commitment in supporting it both philosophically and economically, and your vigilance in seeing it through, all the while maintaining consistency of voice and imagery. Easier said than done, right? Not to fear. We’ve compiled the following advertising Dos and Don’ts to help you plan a successful, integrated advertising campaign. 1. DON’T fall victim to ‘me too’ messaging or imagery. DO differentiate. “For all your needs.” Sure, maybe you do it all, soup-to-nuts, but proclaiming to be all things to all people, in addition to sounding cliché, is a missed opportunity to stand out. So many of your competitors are relying on canned, generic marketing-speak to convey their message. Why not capitalize on their lack of creativity and instead put forth a meaningful message to promote your brand or service? Differentiating yourself visually is just as important as creating brand-specific messaging; be careful with stock photography. If the image you are using in your advertising campaign is not rights managed—meaning, you are paying a royalty to own it and block others in your target market from using it—you run the risk of driving down a main thoroughfare and seeing what you believe is your billboard, only to find out a competitor has selected “your image” for their own advertisement. Just as you would not choose to use the same logo as an existing company, so, too, should you refrain from sharing imagery with another business. 2. DON’T (try to) shove 10 pounds of anything in a 5-pound bag. DO clearly articulate your message (and make it concise!). What do these messages have in common? They’re short, catchy and above all else, concise. Why then, do so many companies fall prey to mixed messaging, industry jargon and never-ending copy in their print ads, radio spots and television commercials? Trying to communicate too many messages doesn’t do anything but confuse your audience. Consumers have a small attention span so it’s often better to deliver one, focused message rather than a handful they will gloss over. If you’re keen on delivering a number of messages, consider advertising campaigns that focus on one message or benefit at a time. Targeted campaigns make better use of advertising resources and ultimately will increase your return on investment. 3. DO remain consistent. DON’T throw in the towel prematurely. How fortunate if the advertisement for your product or service is played at the precise moment a consumer is contemplating it, and they are paying close attention. In the real world, this rarely happens. It is more likely that your customers only hear part of your advertisement and don’t retain your phone number or website. That is why consistency and frequency in messaging is critical to the success of your advertising campaign. Your phones will only begin to ring after your message has been delivered to your target audience a number of times. The “Rule of Seven” is an old marketing adage that says a prospect needs to see or hear your marketing message at least seven times before they take action and buy from you (and with the media saturation that exists today, that number is likely much higher now).You will become tired of your campaign long before your customers, as it only gets through to them a limited number of times. As difficult as it may be to wait for results to be yielded, the benefits will come in time. 4. DO take advantage of earned media opportunities. DON’T look a gift horse in the mouth. Earned media opportunities are part of a well-rounded advertising plan. While free of cost in terms of placement, the amount of work that goes into securing them can far surpass the effort to purchase, for instance, a print advertisement in the very same publication. If you manage to secure time with a writer, editor or other news persona, it is imperative to work around their availability, even if the scheduled interview doesn’t perfectly align with your own busy schedule. While it is difficult to measure effectiveness of many public relations activities, the credibility earned media provides proves invaluable in overall strategy and long-term planning. Further, the additional “mentions” allow your brand to remain top-of-mind with your target audience. 5. DO know your audience. DON’T assume you are a part of it. You’ve just invested significant monies into producing, editing and placing a television commercial promoting your business. You pop some popcorn, settle in for the night in front of your television, waiting expectantly to view your masterpiece. As the night wears on and your eyes begin to droop, you’ve yet to see it flash across the screen—how could this be? Before you get upset, ask yourself—are you the demographic you are trying to reach? Or do you just enjoy seeing your commercial on television? An important aspect of advertising is targeted reach. It is just as important to refine your target audience as it is to refine your message. It’s important to know your audience and understand that may not be a part of it. If that’s the case, you want to place your messages where they will hear them, and you won’t. If developing a successful, integrated advertising campaign still seems daunting, let us help. Our expert team will work with you to create and place your messaging where it needs to be to drive results.